Apologies, folks, this post is one day later than I intended, but I simply ran out of time yesterday as I struggled to help fit my new kitchen and take in the Cookson Parade in South Shields. I’ve chosen this picture from the batch submitted by the members of Curly’s Corner Shop Message Board after I asked them to provide pictures with a “summer” theme. 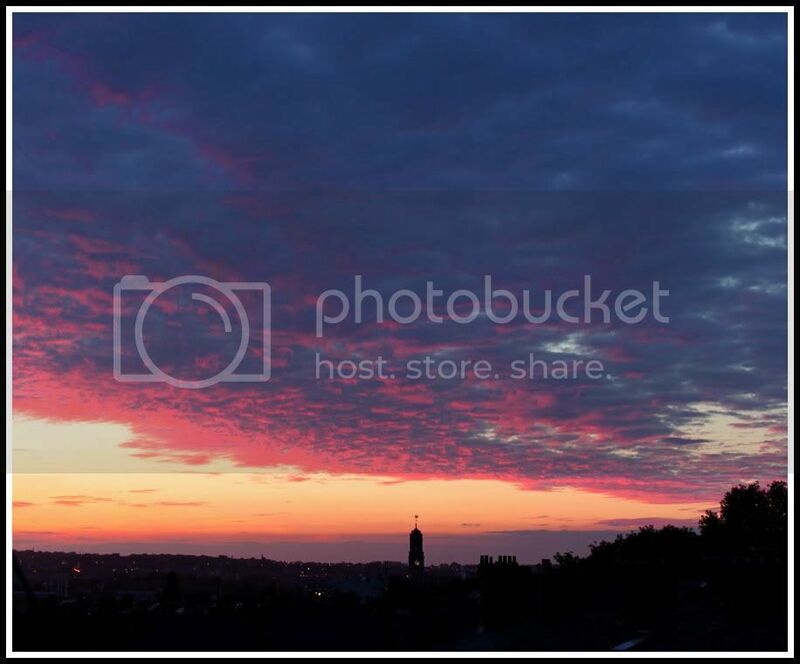 This stunning summer sunset showing South Shields town Hall silhouetted against the red clouds was sent in by Graham Slesser of Westoe who had to climb into his loft space to get a view over the roof tops, he just couldn’t resist the temptation. It was shot with his new Nikon DSLR but he cannot remember if it was set to aperture or shutter priority, I don’t suppose it will bother us too much, it’s a smashing picture Graham. To keep up to date with my latest posting please go to South Shields Daily Pictures. This picture was chosen from amongst those submitted by the members of Curly’s Corner Shop Message Board, the busiest community forum in South Shields with close to 198000 posts! 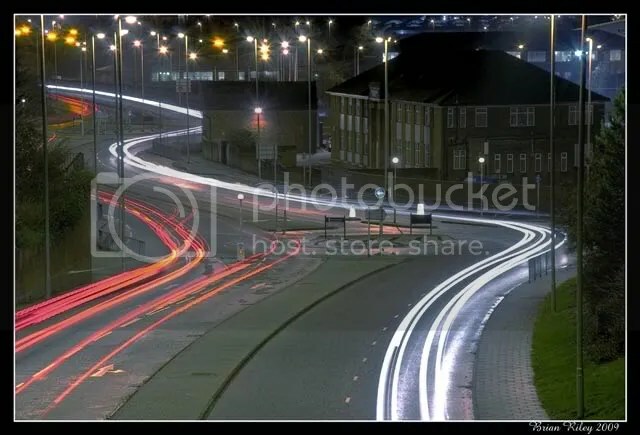 I had set them the task of photographing “curves” before Christmas and this was the winning shot of South Shields’ man Brian Riley showing the light trails from the evening traffic at the end of Slake Terrace in South Shields, near to Kennedy’s bar, in the background you can see the buildings of the Port of Tyne Authority. I think this is a fine shot from Brian. Brian shot this with his Nikon D90 using a shutter speed of 30 seconds and an aperture of f22 on his 105mm lens. Hope you all had a great Christmas day! 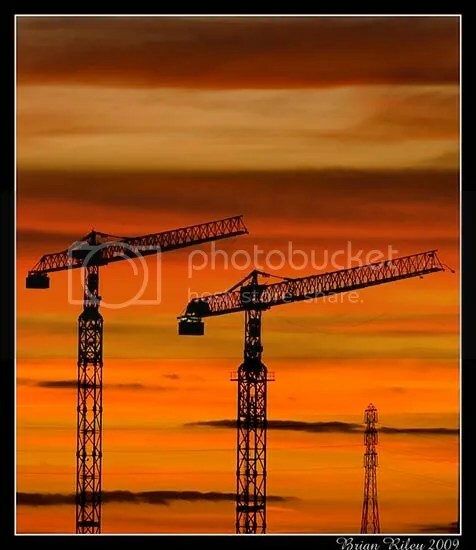 A wonderful red sunset sky captured by 49 year old South Shields man Brian Riley, showing the view of the few remaining cranes at work on the River Tyne at Aker McNulty Marine in Commercial Road, South Shields. To stay up to date with my latest work please go to South Shields Daily Pictures, currently showing the story of the 2009 BUPA Great North Run. 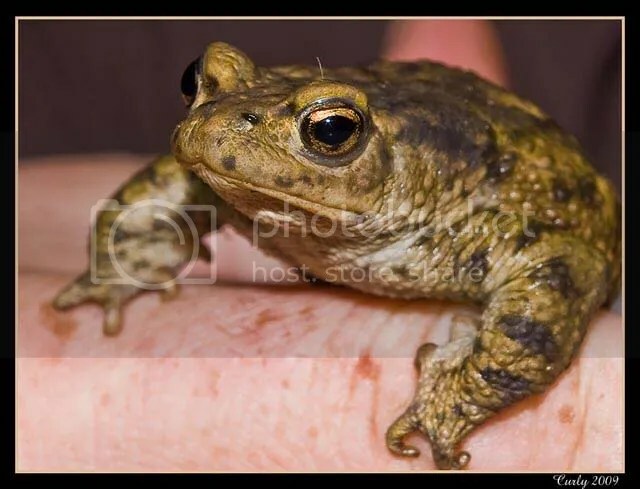 Found this little fellow hopping around in my friend’s garden in South Shields a few nights ago, couldn’t resist the chance to take a snap, and he posed patiently and proudly too. Bob said it was the first time that he’d come across a toad, and he doesn’t even have a pond, nor can he see one nearby either. One from the archives, in 2005 the Tall Ships sailed from the Tyne and South Shields harbour, this picture was taken on the evening before sailing in Gateshead when a huge firework party attracted thousands of people. 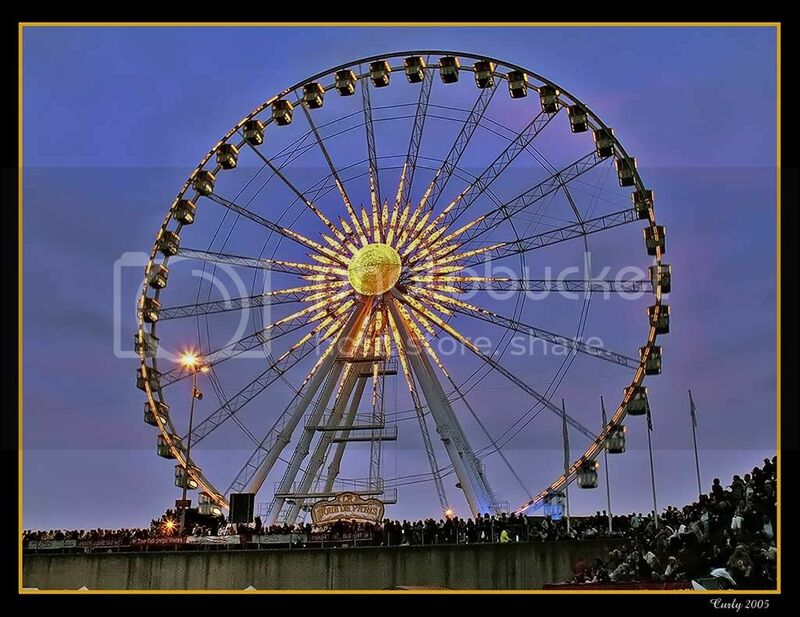 This giant ferris wheel at Baltic Square eventually made it’s way to York where it stayed for a couple of years outside of the National Railway Museum. Camera details: Konica Minolta Dimage Z3, 45 mm lens, 1/4 second, f8, iso 50, Velbon tripod. 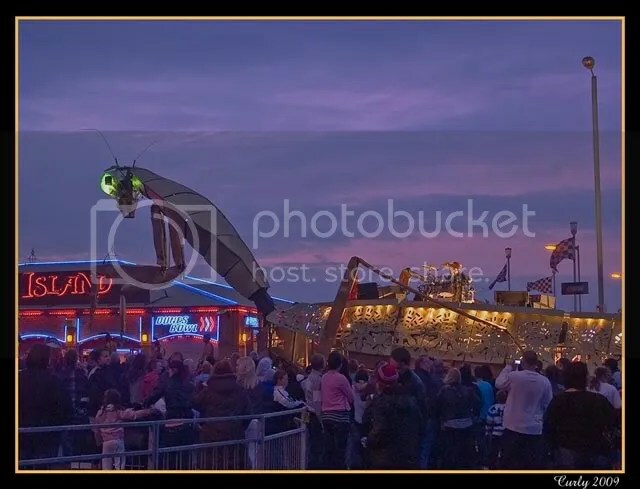 The procession of the praying mantis reaches the Sea Hotel and the Dunes entertainment centre in South Shields, by now thousands of people are following behind in something like the story of the Pied Piper of Hamlyn.